The sky of the next Full Moon in Aquarius on 18th August will present an interesting configuration for us all, because on the same day we will be under the influence not only of a Lunar Eclipse, but also a significant Yod configuration will be outlined in the celestial spheres. The Yod is the 10th letter of the Hebrew alphabet, one of the most important one as it is the beginning of the name of God (Yod Hey Wav Hey). It looks like a simple dot, but it means that the finite world can contain the infinite world. It is the primordial life of the Universe as it means the “Finger of God” or “Hand of God”, synonymous with the infallible evidence of Divine authorship visible in all His works. The energy that it carries reveals the infinite capacity and Will of God to support the whole of creation and also our capacity to tune into the mind of the Creator to receive insights and guidance for our spiritual evolution. The body of this letter represents the deep understanding of the higher mysteries of the Soul as it carries down the Light from above in order to guide us in material affairs, especially in relation to the dissolution of our karmic patterns. The Yod is symbolic of the index finger, the finger associated to decision, silence and understanding. When we point our finger, we can indicate our future and the direction it will take. The celestial Yod will be created by a sextile aspect (60°) between the Moon in Aquarius and Uranus in Aries, with two quincunx aspects (150°) between these two celestial bodies and Mercury and Jupiter conjuncts in Virgo. This will produce a long triangle shape, looking like a witch’s hat, pointing to Mercury and Jupiter. From the astrological point of view a Yod signifies a special karmic mission we need to complete in order for move to a new level within, to establish a deep connection with our soul. The key point to the Yod configuration is that all the energy created by the sextile and triggered by the two quincunxes will find a place to go, indicating an Activation Point or Point of Awareness highlighted by the dynamics of the angles. Plato called Jupiter “The Word of the Sun”, the word of the soul coming to us through the fusion of the mind and the heart in order to reveal the purpose that gives us inner life, the meaning we have come here to live for. This celestial intelligence vehicles the energy of Ray 2, Love/Wisdom, the will to unify, synthesise, produce coherence and mutual attraction and establish relationships. 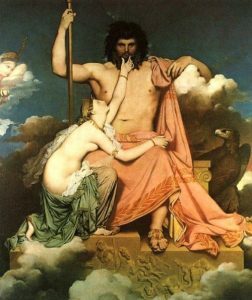 Mercury, the Messenger of the Gods, represents the mind, which offers the spiritual guidance to the soul who wants to manifest on the earth. From the esoteric point of view Virgo is the sign associated to the Form as Vehicle of the Creator, in the sense that it shows us that we have the possibility of revealing the spiritual meaning of our life within matter. It is going beyond the separation between Spirit and matter that we hold in our mind by integrating the qualities of the personality and the Soul within to reveal where the soul truly wants to go. As we described in the previous blog, Leo is now open to go beyond the self-centred consciousness and feel the Call of the Divinity. Now the Sun in Leo shines its light upon the Moon in Aquarius activating our mind, just initiated into the purposes of the Universal Mind, in order to bring the soul into active cooperation with the inner plan of God. Leo rules the heart in the body and it is in the heart that we will start feeling the need to go beyond who we think we are. Uranus in Aries, sextile the Moon, will bring the unexpected and trigger the changes that we need in order to cross the threshold of the new existence. We will feel a strong need for breaking free from the past and all the limitations that do not allow us to be who we truly are. It is the harvesting time of that sense of ending that we have been experiencing in the last few weeks starting from the New Moon in Leo and the opening of the Lionsgate on 8 – 8. This configuration will allow us to accept our feelings and directly express them so that establish a new order and relationships in our lives. Uranus vehicles the energy of Ray 7, the Ray of Ceremonial Order and Magic, that is the Will towards Expression, the necessity to embrace “that which is above and that which is below” and produce beauty, order, perfect wholes and right relationships; it is the driving energy emanated by Spirit which appears, takes form and lives. The scenario will be emphasised by the Lunar Eclipse, which will highlight the needs, intentions and desires of the personality that have come to an end, and that no longer fulfil our true nature. This Yod configuration is very particular as it also produces a boomerang effect: Chiron, the Centaur, traditionally known as the Wounded Healer, will be opposite to Jupiter in Virgo at 25° in Pisces. This means that the energy at the action point where Jupiter is, will bounce up to the Chiron reaction point offering a final expression to the energy pressure built-up in the Yod configuration. We will feel that we are not in control of our life and that we have to surrender to the higher power and allow the soul to emerge. The Sabian symbol of Chiron’s degree “A RELIGIOUS ORGANIZATION SUCCEEDS IN OVERCOMING THE CORRUPTING INFLUENCE OF PERVERTED PRACTICES AND MATERIALIZED IDEALS” confirms that the power of the Soul will intervene in the personal life to induce necessary catharses: crisis and purifications will be the keys to the process. Our intuition will increase and we will experience deep insights, which will lead to unique revelations, a sense of self-discovery and, as a consequence, an overwhelming self-confidence in pursuing our true nature because we will realize that we can no longer deny who we truly are as a soul. The Full Moon will be conjunct to the fixed star Sador, in the constellation of Cygnus, exactly in the middle of the breast of the Swan. 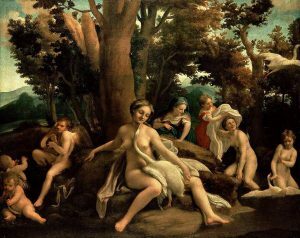 Cygnus represents Zeus/Jupiter, who seduced Leda, queen of Sparta, in the form of a swan, giving birth to the two twins Castor and Pollux and to Helen and Clytemnestra. The etymology of the word associates the swan to the “singer”. The legends tell that after a life in silence, at the point of death, the bird sings to the Gods to express its joy for the reintegration with the Divine. 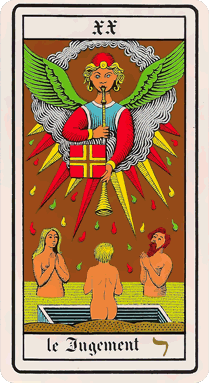 For this reason it associated to the second stage of the alchemical process, the albedo, where the alchemist discovers his soul within and moves to the last stage of the Great Work. In the esoteric Tarot the constellation of the Swan is connected to the 20th trump, Judgement; it is the wake up call to action, asking us to translate what we are receiving so that we can be intermediaries between Spirit and matter. We are at the door of the second death where the light of the Soul becomes easily accessed in our daily life: the Moon has reached full term and it is ready to deliver into the temple of the body the new Soul-guided life.